I just finished making Trevor's birthday invites, what do you think? 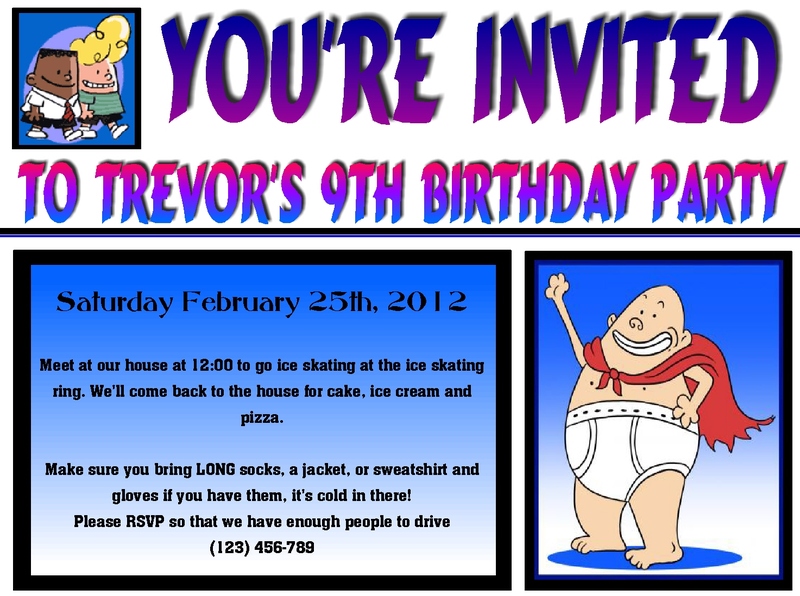 He's all into Captain Underpants books right now and that's what he wanted on his invite. Silly kid! Iceskating, pizza, cake and iceream!!! I want to be a kid again. Great idea taking the party to the ice rink! The invites look great.